It’s not just our impressive stock that brings commercial vehicle owners from far and wide to shop with us, we are also specialists in servicing and repairs. Our highly trained technicians are affiliated members of the Institute of the Motor Trade, and use their experience, qualifications and skill to deliver a vast range of services to take care of you and your vehicle. From our state-of-the-art workshop, we can provide the help and advice you need to keep your vehicle in the very best condition. We also deliver vehicle diagnostics to pinpoint issues before they become costly and inconvenient problems. Whatever your servicing or repair requirements, all work is guaranteed, and of course finished with a complimentary wash and vacuum! We are a trusted provider of servicing for countless customers throughout the corporate world, and work hard to deliver the excellent prices and great service that we have become well-respected for. We offer retail car servicing and MOT testing, and have experience working with all makes and models of van to the manufacturer's specification schedule. Here at David Spear Commercial Vehicles, we supply three levels of servicing, each of which has been expertly designed and developed to satisfy the varying requirements of modern day van owners. Whatever your van’s age, condition or history, we can confidently deliver servicing to all. 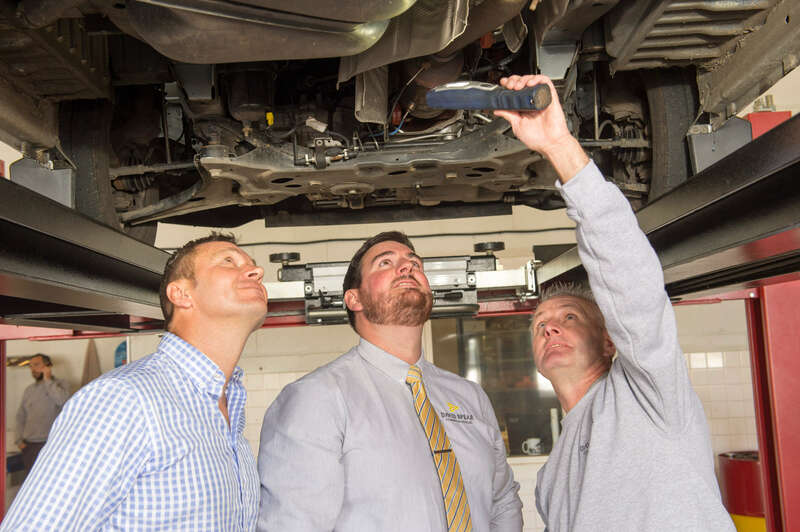 Our Silver service is designed to cater to the maintenance requirements of high mileage van users, or models where the manufacturer recommends more frequent checks. This service helps to maintain your vehicle, and includes an oil and filter change plus a vast range of fundamental checks. This comprehensive annual service is your key to trouble free motoring. In addition to meeting the manufacturer’s service schedules with numerous checks, we ensure all necessary adjustments are carried out to vehicle specification guidelines, including engine oil, and oil, air and fuel filter changes. Looking to have your vehicle serviced? Or perhaps your vehicle is due for an MOT or needs to be repaired? Arrange an appointment with our technicians today by visiting our contact page.